My friend Andrew was kind enough to send me a list of his favourite bookstores in Ottawa so that my trip could be as bankrupting as possible. 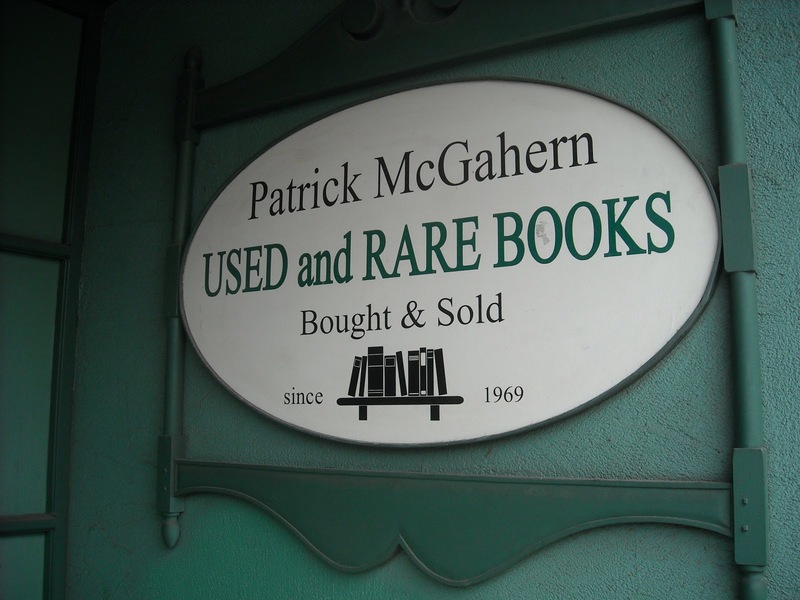 I didn't get to every bookstore on his list but of the ones I did visit, one really stood out for me: Patrick McGahern Books on Bank St. The day we ventured over to the Glebe was a good day insofar as because of this bookstore, as well as a "hippy meets yuppy" veg restaurant nearby, I decided Ottawa was pretty fly. But of course, we also got snowed on in Ottawa that day. Yes, at 1:41 pm, on April 27, 2010, we got snowed on, and we weren't in either the Yukon or Nova Scotia. I shook my fist bitterly at the sky; a friend advised me to blame Harper and drink more coffee. I did both, and I felt better. Patrick McGahern books has been around a long time, since 1969 in fact; such durability is a phenomenon in indie and used bookstores that I find socially and psychologically comforting. Also, I admire the bookseller that just goes for it and puts their name on the store, instead of creating some clever but anonymous name. It seems sweet, kind of neighoury, in the right way and not in the weird Uncle way. It also bespeaks a willingness to dive in head-first with all one's powers of commitment in play in a way I find terrifying. Now, before you expend all your enthusiasm on this shop's sign, let me show you a very important pic of the interior. Is this bookstore a win because of its location, it stock, its age, and its name? Yes, but it's a LeBron James sort of win because it has rolly ladders for its high shelves!! I love it. 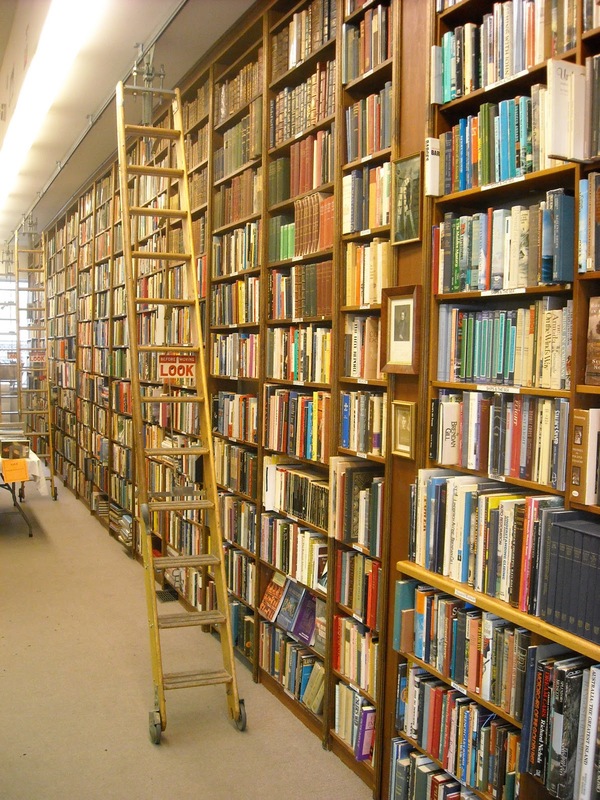 If I had a house that had a library that needed rolly ladders, I would literally never leave the house. Really, what would be the point? Someone would feed me, I'm sure of it. I would spend my time getting books from the top shelf, and replacing them with others. And looking down at my books below. And falling into a good read while standing on the ladder; I've fallen into good reads in elevators, while cooking dinner, while waiting to see the doctor, while walking down the street - the ladder read would happen and it would be transcendent, or at least ascendant. Ah har har. So, yes, I did, of course, buy myself some books at Patrick McGahern Books. I haven't begun any of them yet because I only finished Wolf Hall last night. 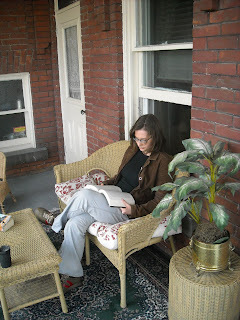 I was hoping to get more reading done during this vacation, not simply because we had a super-amazing balcony on our B&B room in Ottawa. 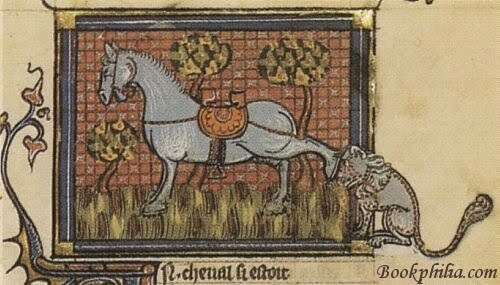 But it turns out there was a great deal of sleeping to be done. Also, some eating, but that wasn't as successful. I think the abundance of white women in saris at veg restaurants dedicated to gurus who can bench-press 500 lbs aren't necessarily doing good things for the the general public's perception of vegetarians. Maybe Wodehouse isn't entirely to blame after all. Now back to the topic at hand. Our place was really just a B because apparently they've never heard of food that doesn't contain eggs or cheese or milk or bacon. Also, the coffee was undrinkable. But the balcony was really bloody awesome so breakfast be damned. So what if I sometimes had to wear a coat and wrap myself in a blanket to read out on the balcony? It was good for my soul to be able to stare at the top of the Loblaw's when I wasn't deep into Hilary Mantel's vision of Thomas Cromwell's tricksy brain. Wolf Hall was really good, which is all I'll say for now...okay, except also that, see that plant to my left? At one point, I was reading outside and after awhile I noticed that the plant was half in my lap, on its side. I was so absorbed that I failed to notice this happening. Niiiiicccce. 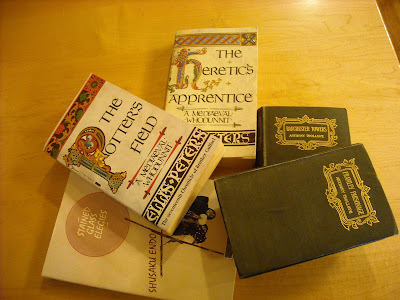 And, finally, here are the books I picked up in Ottawa. Because I didn't end up spending nearly as much money in the capital as I thought I would, I made a point of searching out English shops in Montreal, which I'll tell you about soon. 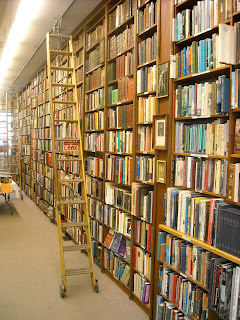 Wow, this looks like bookstore heaven!!!! I wish I could have a house library with rolly ladders. Alas, this will likely never occur because a) I am not rich and b) I am tremendously afraid of heights. Really, stepladders are bit extreme for me. Question: Should the Brother Cadfael books be read in order, or can one read them individually/out of order without too many worries? My local library appears to have many of the installments but not the first one. heidenkind: I would find that intimidating too; I'd feel that I could only make an appointment if I was prepared to spend a lot of money - and how would I know that without knowing what's there? Christy: I'm actually pretty afraid of heights too; I didn't make it to the top of St. Paul's in London because I actually swooned. But in the rolly ladder library of my dream house, there would be cushions on the floors, like in a sultan's palace - good for lounging and falling on. Christy: Ooops, about Ellis Peters: I think you don't have to read them in order. She does make reference to things in previous books, but not in such a way that would affect understanding of any. In fact, I read #3 before #2 because my brain had a little nap about chronology and it was just fine. Oh, I love P McGahern Books - so glad you found it! Ying: Me too. As I got snowed on right before finding it, I wasn't feel full of love for Ottawa until I saw the rolly ladders.